A comprehensive sensory experience awaits anyone who enters this restaurant, replete with stunning presentation and relentless explosions of flavour. The 3D-mapped hexagons on the walls echo the culinary techniques used, while the bars — one for molecular mixology and one for possibly the best sushi in town — add to the theatrical vibe of the restaurant. 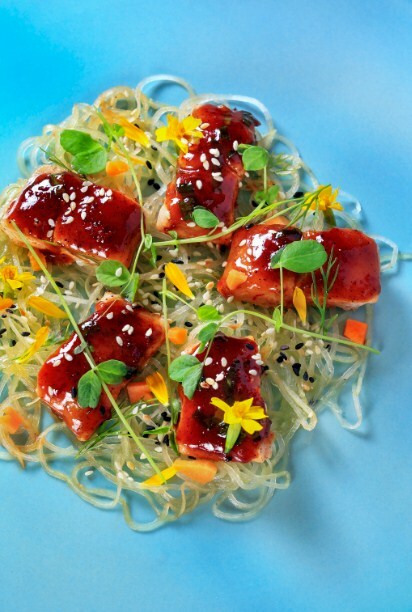 Reinventing Asian cuisine, each dish placed at the table (rather presented with a flourish, by suave waiters with secret agent-like earpieces) can be described as edible art. Diners are left in awe right from the amuse-bouche of watermelon in lemongrass and chilli foam presented in oyster shells on a liquid nitrogen cloud, to the lotus stem chips in a honey-chilli sauce that are staged on a stone. But the highlights on the menu are the luscious butayakatori — pork belly skewers served in a cute pig-shaped jar — and the sushi matrix served on a vertical cuboid wooden stand and comprising a squid ink-dyed black sushi roll that can win anyone over. 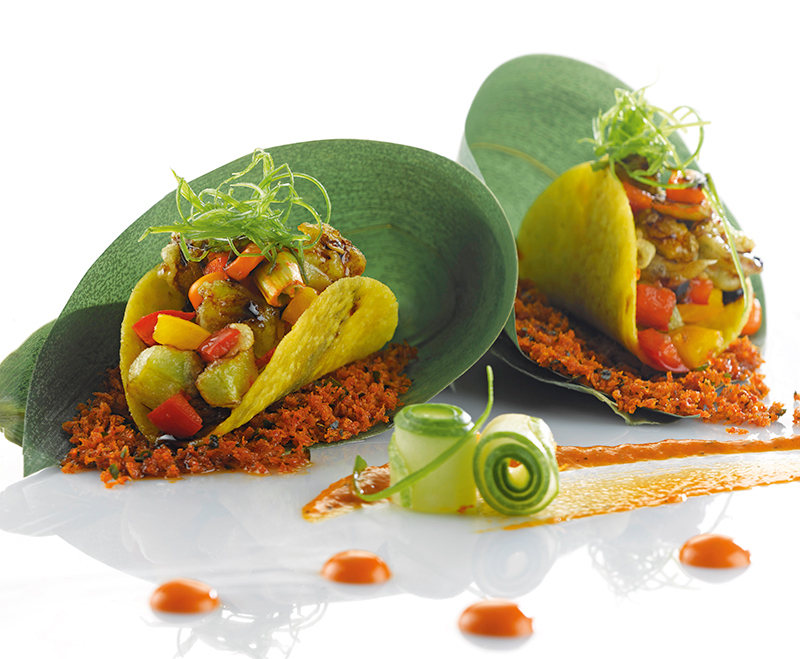 USP: Modern Asian cuisine with intelligently incorporated molecular gastronomy. 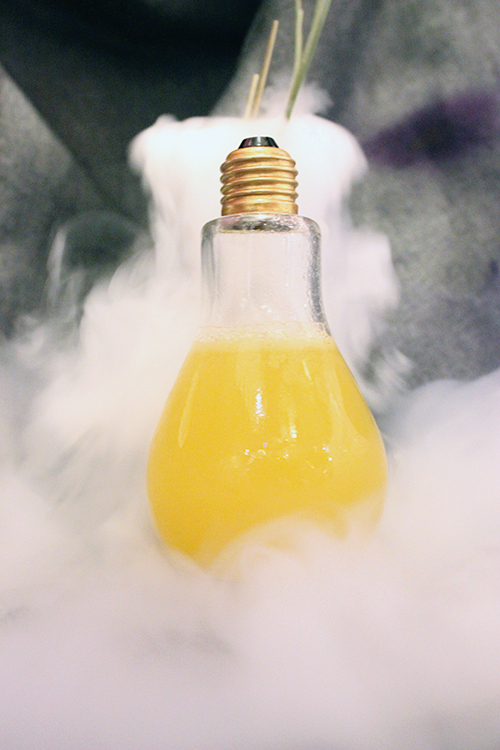 Best of the Bar: Yin yang, a dramatically presented vodka-based cocktail, and lighthouse, encircled by smoky vapours and served in a light bulb. Sweet Finish: Matcha-infused liquid hazelnut fondant cake with a piquant quenelle of white peppercorn ice cream. Restaurateur Riyaaz Amlani has been a busy bee this past year, expanding his franchise of concept-driven restaurants. After the success of Mumbai’s original Social Offline in Colaba, it was central Mumbai’s Todi Mills that got the Impresario touch. Created for the new generation of workers, artists and collaborators, Todi Mill Social produces an effective amalgam of business and pleasure by offering a shared workspace for a monthly fee where one can redeem food and drinks, and use the free Wi-Fi, stationery and even a 3D printer. 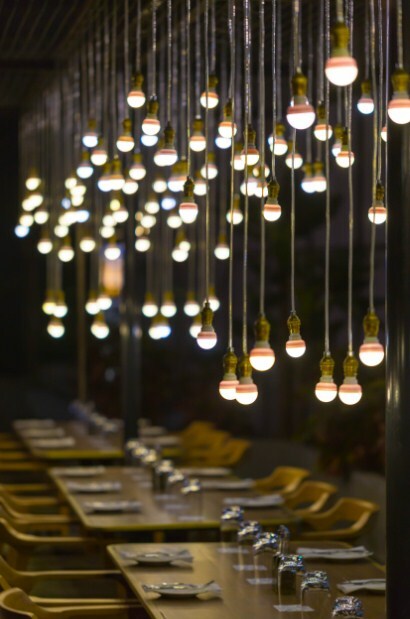 The menu is similar to the Colaba Social, with scrumptious food and fun cocktails. Next on the map was another Lower Parel branch, located at the Palladium mall, but with a more distinct theme and focus — craft burgers and beer. 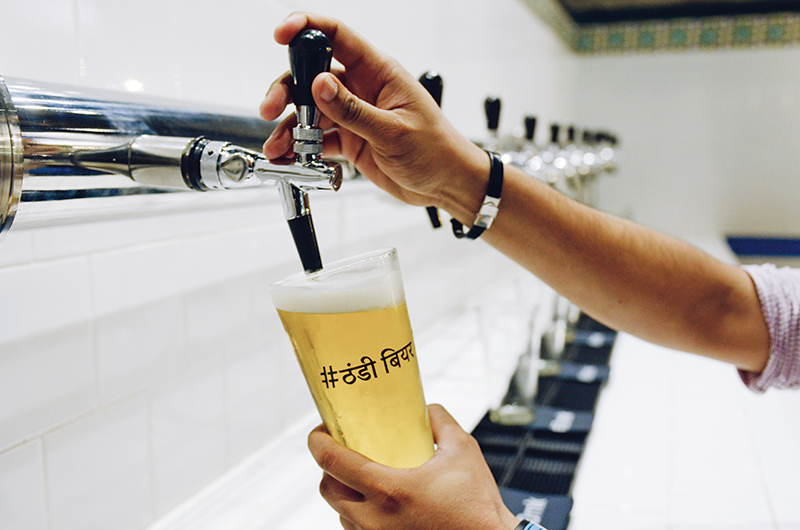 Featuring a state-of-the-art beer-tasting room, Palladium Social is your best bet for a trendy haunt to unwind at. It offers approximately 15 delightful craft beers from Europe and India’s finest breweries and even has a resident expert to conduct interactive tasting sprees and answer any questions. 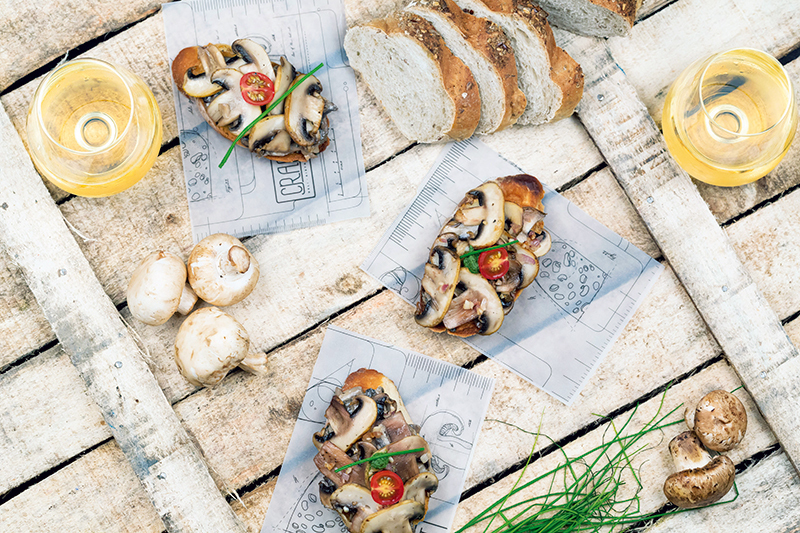 This is beautifully complemented by mouth-watering burgers like the SMS (spinach, mushroom and Swiss cheese), the tongue you very much burger (tenderloin, tongue, miso butter in a brioche bun) and the pulled pork and mango burger. 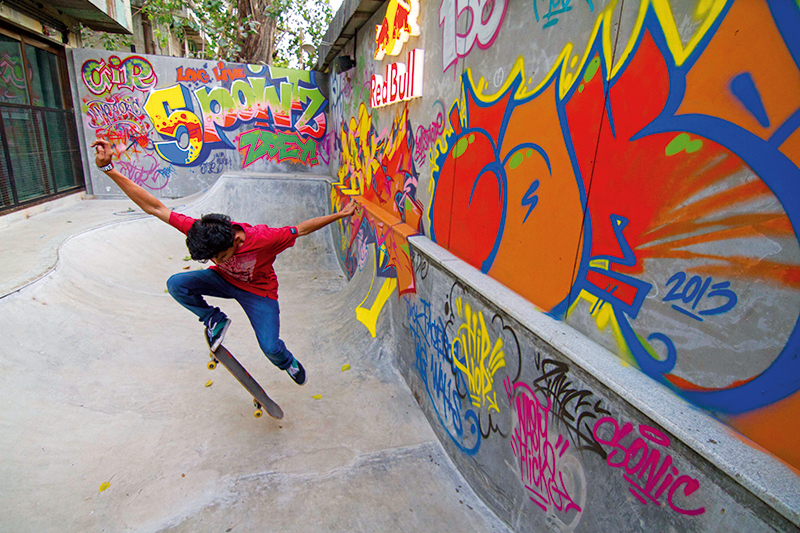 Last, but definitely not the least, Khar Social not only marked the first suburban Social Offline, but also gave Mumbai its most happening skatepark. 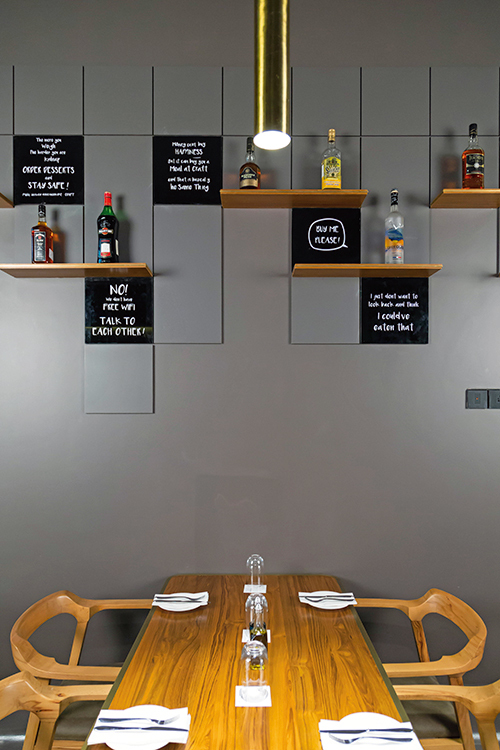 The most vivacious environment of work and play in the city so far, its interiors embody the colloquial word jugaad — meaning a quick and ingenious solution to any problem — with its use of recycled, upcycled and sustainable materials. The skateboarding ramps are accented by urban graffiti designed by Nick Smith in association with Red Bull, and Amlani has kept the space accessible to skaters seven days a week before 7.30 p.m., when it is transformed into a cushioned al-fresco area. Must-order items on the menu are the gun powder calamari, chicken kori roti and the deconstructed Moscow mule cocktail. 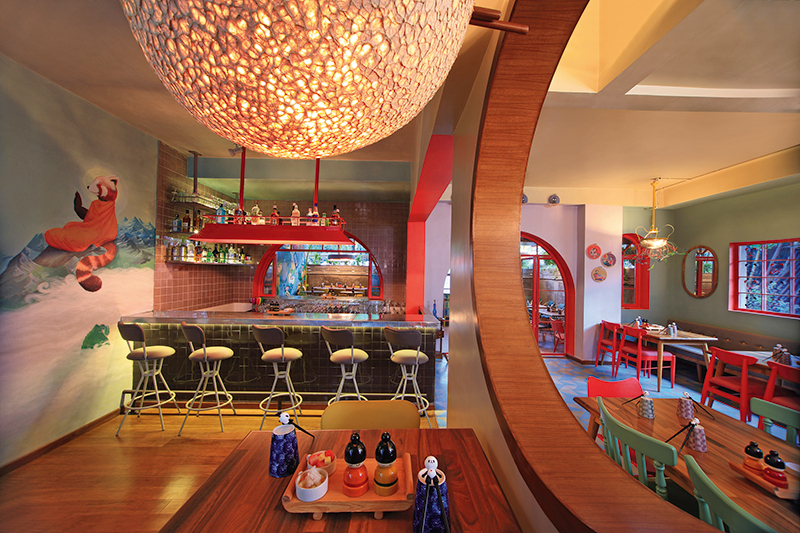 Having taken Bengaluru by storm, The Fatty Bao is seducing Mumbai diners with its version of new Asian dining. The decor is bright and trendy with colourful paintings on the walls, the atmosphere vibrant, and the bar abuzz with excitement most evenings with signature drinks and cocktails complementing the innovative Asian fare. 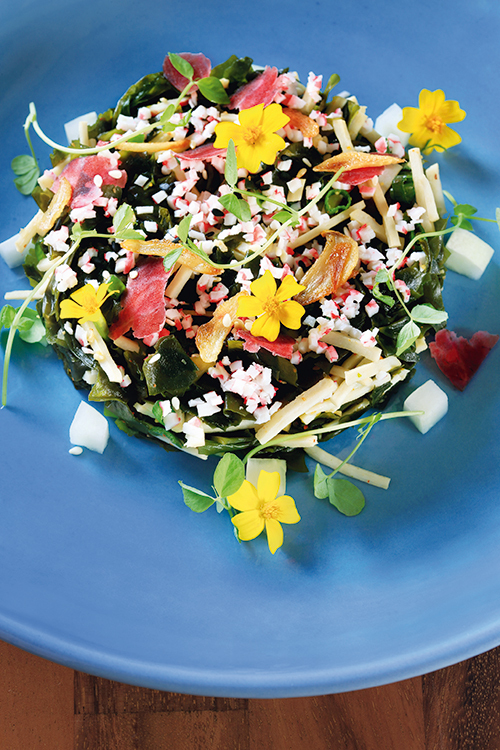 Chef Manu Chandra and hospitality operations expert Chetan Rampal have created an edgy space in Bandra with a menu that is firmly anchored in fresh Asian produce. The bao is the star here, but it is this restaurant’s interpretation of it, modern rather than traditional. ​​Open baos served in a wooden holder for great convenience, dim sums, hearty bowls of chashu ramen, melt-in-the-mouth pork belly, lamb shanks braised in a massaman curry and tobiko California rolls sit comfortably on the menu alongside some all-time favourites like fatty oysters with chorizo and ponzu sauce, mikrop chicken salad with cashew nuts and chicken floss, char siu bao with kimchi green apple, brie tempura with plum sauce, crispy duck pizza with hoisin sauce and pistachio and green tea chiffon cake with yuzu cream. Resist if you dare! USP: Innovative Asian fare coupled with a great bar experience. Inventive cocktails:​ Mickey Ninja, Mandalay Bay, Fatty Sour. Wall art: Ayeshe Sadr and Ishaan Dasgupta of 211 Studio. 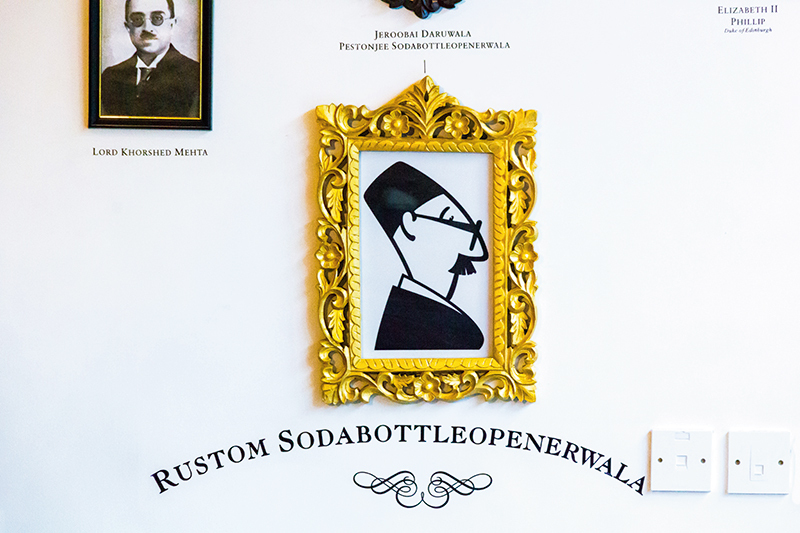 For great Parsi food (some of it with a twist of humour), Bombay street food, some Irani dishes, a great vibe, retro tunes from a jukebox and a fun bar, visit SodaBottleOpenerWala at the Bandra Kurla Complex in Mumbai. Restaurateur AD Singh has endeavoured, with this chain — popular in Delhi, Gurgaon, Bengaluru and Hyderabad — to recreate and pay homage to ‘the dying legacy of the wonderful, chaotic, crowded, bustling, colourful, quirky, cluttered, eccentric and so-real world of an Irani restaurant’. This is a stylised, modern version, with colour and eccentricity perfectly created by architect Clement DeSylva and Sabina Singh. It seems quite appropriate, in fact, to discover that a toy train on a suspended rail has been chugging slowly over our heads. 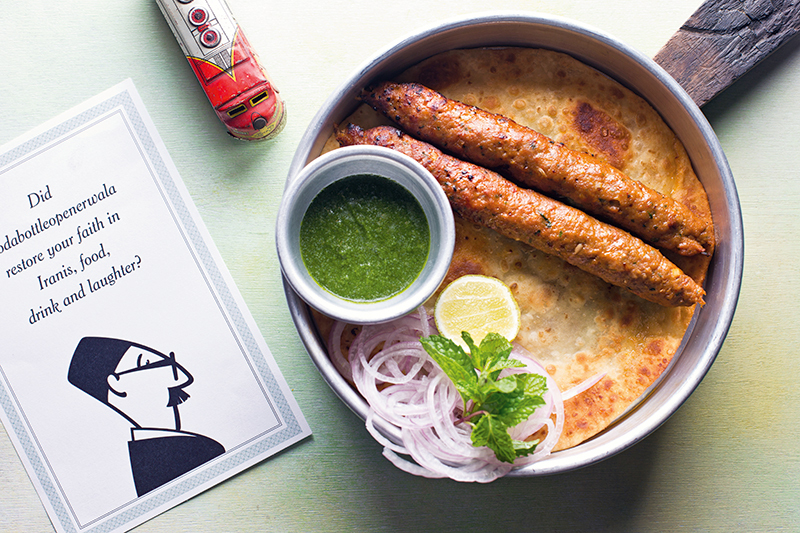 Mohit Balachandran, brand head and cuisine director, has given a contemporary twist to dishes from the Irani restaurant menus of yore. Young chef Anahita Dhondy started her journey with the first opening at Cyber Hub, New Delhi, while Chef Darius Madon, ‘a pukka Parsi’ helms the kitchen supported by bakery chef, Akshata Karkaria. 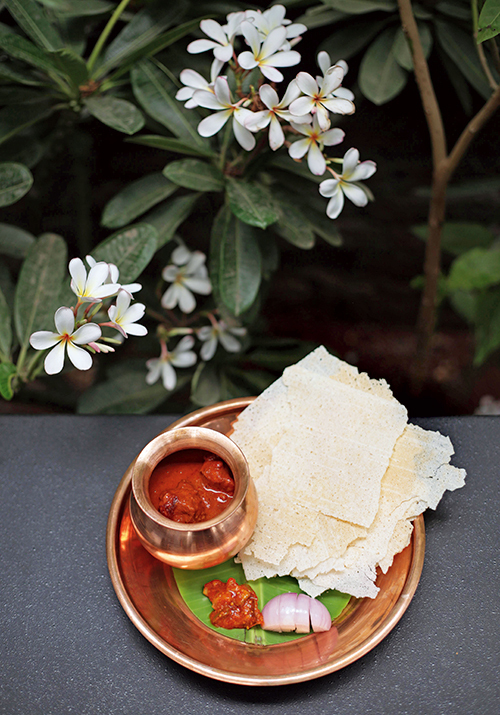 Mumbai-ites need no introduction to a cuisine that has been close to their hearts, from the covetable dhansak to kolmi no patia. Amongst the starters, the chicken baida roti is tender and crisp, the tarelli macchi is not fried at all but my favourite of all is the kolmi fry which reminds me of an onion bhajia with a prawn tucked in. 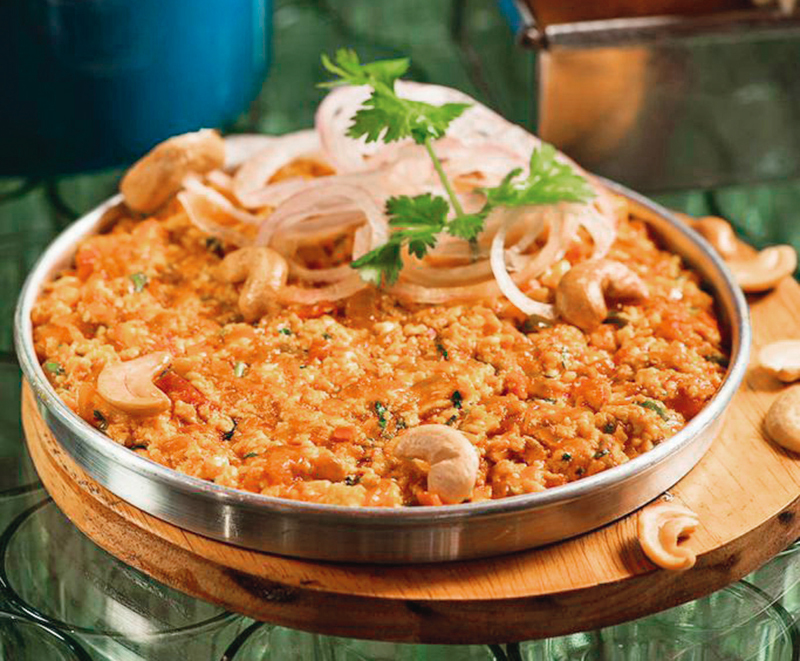 For the mains, the berry pulao is a must, the Bhendi Bazaar sheekh paratha combines moist sheekhs with crisply fried paratha, while the Bohri kheema pao couples spicy mince with the softest, buttered bread. Decor: Large mirrors, domed lights from Chor Bazaar, antique-style tiles and the ubiquitous instructions on the wall — No Laughing Loudly. No Singing. No Childish Tantrums. No Talking to Cashier…. Vegetarian Specialities: Aloo Aunty’s vegetable cutlet, Breach Candy awesome okra (inspired by the famous dish at Breach Candy Club), Tardeo AC Market Mamaji’s grilled sandwich, Bombay raasta sandwich. The brainchild of Romil Ratra of the Phoenix group, Bellona Hospitality’s new venture brings with it an evolved gastronomic experience. Controverting all notions of ‘mall dining’, Craft’s live theatre with an open kitchen and bar stirs up drama as sociable mixologists and chefs concoct gourmet masterworks. Refined decor elements are complemented by quirky writings on the walls, micro-herb garden bowls, rustic pickle jars and a bougainvillea-adorned al-fresco seating area. But it is Chef Paul Kinny’s carefully planned European menu, smartly segregated into three sections — deli, bistro and bar — that really sets the restaurant up for unswerving success. It’s easy to appreciate the additional effort and touch of individuality that goes into every dish, from the shrimp salad smoked with tea to the no-carb spaghetti that, instead of actual pasta, comprises noodles made out of carrot, zucchini and squash. The chef’s interpretation of a tom kha kai is one to pay repeat visits for, as is the craft caprese, spiced apple grog cocktail and the tenderloin carpaccio dressed in palm sugar and mushroom extract. To top it off, those with a sweet tooth will undoubtedly delight in the peanut butter pie and the red velvet cocktail. USP: Freshly sourced, hand-picked ingredients and thoughtfully crafted cocktails. Design: Architect Sameep Padora’s tasteful accents include intricately carved spiral wooden partitions, which actually inspired the owners to overhaul the entire concept and change the name to ‘Craft’. Take Home: Artisanal cheese and bread, savoury treats and an exclusive blend of coffee from Chikmagalur, available in whole bean or ground, on request.